TotalPond's 330 GPH Pond Pump promotes a healthy ecological balance in your pond by keeping the water circulated. It pumps up to 330 gallons per hour with a maximum pumping height of 11 ft. Available at The Home Depot. The construction of a beautiful medium pond is made simple thanks to TotalPond's 330 GPH Pond Pump. This 27W energy-efficient pond pump will promote a healthy ecological balance in your pond by keeping the water circulated. It pumps up to 330 gallons per hour with a maximum pumping height of 7.2 ft. The 330 GPH Pond Pump is ideal for medium ponds (6 ft. x 9 ft. or smaller). 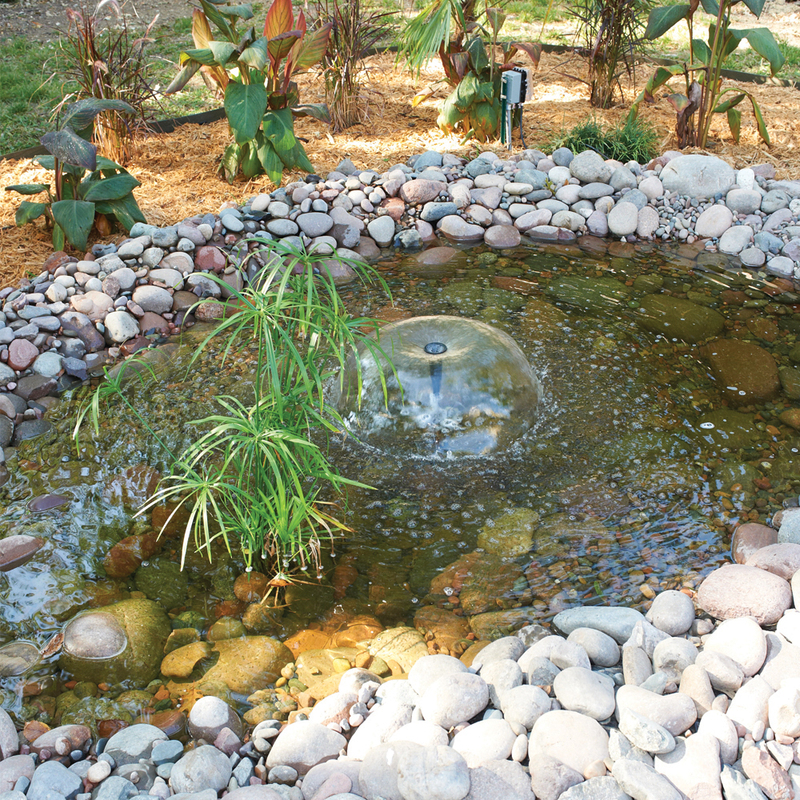 With a maximum pumping height of 7.2 ft., this energy-efficient pump helps circulate the water in a pond. It utilizes premium ceramic shafts and bearings for maximum efficiency and durability. For best results, use the largest tubing size recommended in the product specifications for reduced friction and maximum flow. Dimensions: 6 x 4 x 4.3 in.